Sometimes you just need a good cry. It’s cathartic, you know? Letting out all of those pent-up feelings provides a healthy emotional release. And what better way to get your tear ducts working overtime than by tuning into to NBC’s This Is Us? Of course, there will be moments outside of the one night a week the show airs you need to get all up in your feelings. But don’t worry; we’ve got you covered. The next time you need a good cry, grab a box of Kleenex and rewatch the following moments from the tear-jerking family drama. More: Did This Redditor Figure Out How Jack Dies on This Is Us? After telling Jack they’d lost the third baby, Dr. Katowsky lays a little life wisdom on the new dad about the time he lost a child. “I like to think that because of the child I lost — the path that he sent me on — that I have saved countless babies. I like to think that maybe one day, you’ll be an old man like me talking a younger man’s ear off explaining to him how you took the sourest lemon that life has to offer and turned it into something resembling lemonade,” said Dr. K. “If you can do that, you’ll still be taking three babies home from this hospital — just maybe not the way you planned.” BRB, bawling my eyeballs out. For any parent who has lost a child to miscarriage, this moment is so real it hurts. Learning to come to terms with the loss of a little one you never technically met? There’s no easy or adept way to navigate those waters. Sometimes you just have to accept the pain and live in it for a little while like Jack and Rebecca do. Raise your hand if — upon watching this sweet clip — a) you want to go give the girls bullying young Kate a proper scolding, and b) you kind of wish Jack could adopt you. Kevin doesn’t always get meaty, emotional scenes, but he always shines in the ones he does have. Talking to his nieces about the art of living proves to be a prime-slash-poignant example. It pulls on the heartstrings, and it makes us think we seriously should have invested in Kleenex stock before this series started. Whether you were a child who felt like the odd one out in your family or you are a parent trying to make sure your children understand the strength in their differences, this moment boasts universal resonance. To help 9-year-old Randall feel like he has something of his own, Jack signs him up for a martial arts class. During the class, the dojo asks Jack to vow to “carry his son through life” and illustrate his commitment to doing so by doing push-ups with Randall on his back. Jack keeps doing the push-ups even after the dojo tells him to stop. And if that isn’t tear-jerking enough, all of this is laced with snippets of William sobbing because Rebecca tells him he can’t meet his son. Cue all the feels. Aside from the great lemonade speech, little is known about Dr. K until this moment when we learn how he came to be the Pearsons’ doctor. At his late wife’s graveside, he chokes back tears, saying, “Baby, I don’t know if I can keep doing this without you anymore, and I’m not really sure that I want to.” Dr. K had a great love story too?! Now we all need a doctor… to stitch the shattered remnants of our hearts back together. Since the Pearson family came into our lives, it’s been pretty clear that Kate has internalized a lot of pain. She was in desperate need of an emotional release, which is exactly what she got during this cathartic breakthrough at her weight-loss retreat. Sitting on the bathroom floor, Jack and Rebecca have a vow-renewal ceremony that is just about as heartwarming as they come. Of course, knowing now that Jack dies far too early in their love story also makes the moment equally heartbreaking in retrospect. 10. 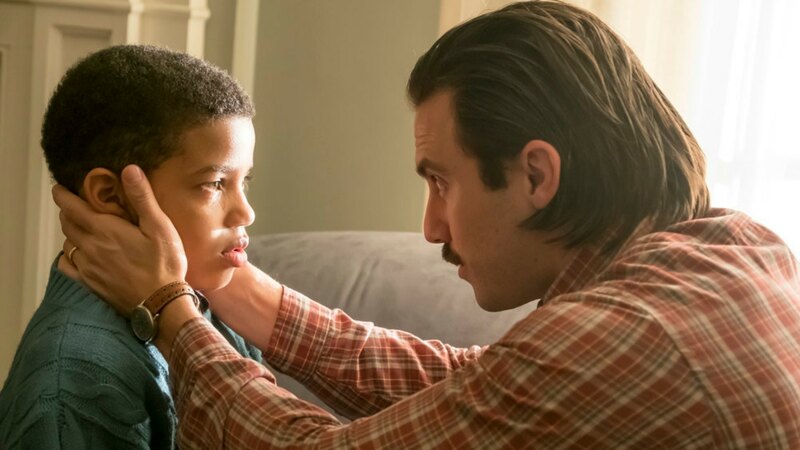 What would Jack Pearson do? They’re brothers and they loved each other, but Kevin and Randall hadn’t seen eye-to-eye pretty much since their teen years. Until, that is, the big night of Kevin’s play premiere — when he finally realizes how much his brother truly needs him. Kevin showing up for Randall and holding him while he sobbed? Now that deserves a standing ovation. Let’s talk about Beth. She’s the best, right? An amazing wife, mother, sister-in-law and, as we saw in her time with William, friend. They forged a bond that left her sad and angry when he died. But at his “fun-eral,” she was able to give an impromptu eulogy that helped her make peace (and left us all in pieces). More: Did Mandy Moore Just Instagram a This Is Us Season 2 Spoiler? Knowing that Rebecca’s love saved Jack once but couldn’t save him in the end stains their love story with sadness. Or is that the residue of our collective sobs? We can’t tell through the tears.